Villa del Arco Timeshare Beach Resort & Spa is a 5-Star The Villa Group Timeshare development located in Cabo San Lucas, Mexico. It is a luxury condominium timeshare complex and hotel that caters for the high-end tourist and repeat timeshare owners. As is the custom of all The Villa Group resorts, it is situated in a excellent location close to downtown and with direct access to a sandy beach. On the Baja California peninsula, Cabo San Lucas is a beautiful beach destination that is rated amongst the best in Mexico. With a coastline of sandy beaches, mountains and desert, it is a unique place to take a vacation. It has all the attractions of Mexico’s hospitality and exotic fun with the sophistication of high-end hotels and establishments that make sure your vacation is one of luxury and satisfaction. 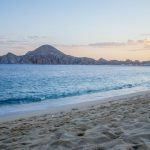 Cabo San Lucas also has a number of direct flights to and from the US and Canada which makes it a hassle-free vacation option for families. The whole area is also famed for attracting the stars and so you are likely to see a famous person or two while visiting. Villa del Arco Timeshare has very distinctive architecture which charms visitors every time and overlooks the famous Arco landmark, which is a rock formation that rises from the ocean. Its gourmet restaurants are particularly impressive with one that has a beach view and from where you can watch the cruise ships pass while another is in the shape of a pirate ship moored in the main swimming pool. 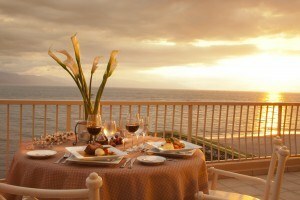 Villa del Arco’s cuisine really is a treasure that keeps both hotel visitors and timeshare owners delighted. One of the reasons the resort is so attractive to timeshare residents is the Desert Spa, which is considered one of the largest and most impressive in the area. The luxury spa is housed on three levels and includes a hydrotherapy center, beauty salon and treatment rooms to ensure that guests are completely pampered. The luxury Villa Group resort’s accommodations are as spectacular as the installations. 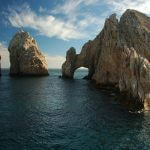 Boasting panoramic views of the Arco rock formation and the Sea of Cortez, the suites are spectacular. You can choose from Deluxe Studios, One Bedroom and Two Bedroom suites as well as exclusive Penthouses. As the resort also caters for timeshare owners, accommodations are big enough to live in – homes away from home.